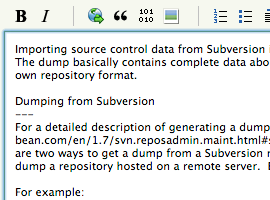 An open source, distributed version control and bug tracking system for Windows, Mac OS X, and Linux. Bug tracking, milestone management, build tracking, and wiki pages are all handled via our web interface - which can run locally on each developer’s machine, as well as via shared servers. Checkins and synching between machines are done via familiar command-line tools, or Tortoise shell integration on Windows, as well as our automated Windows sync tool. 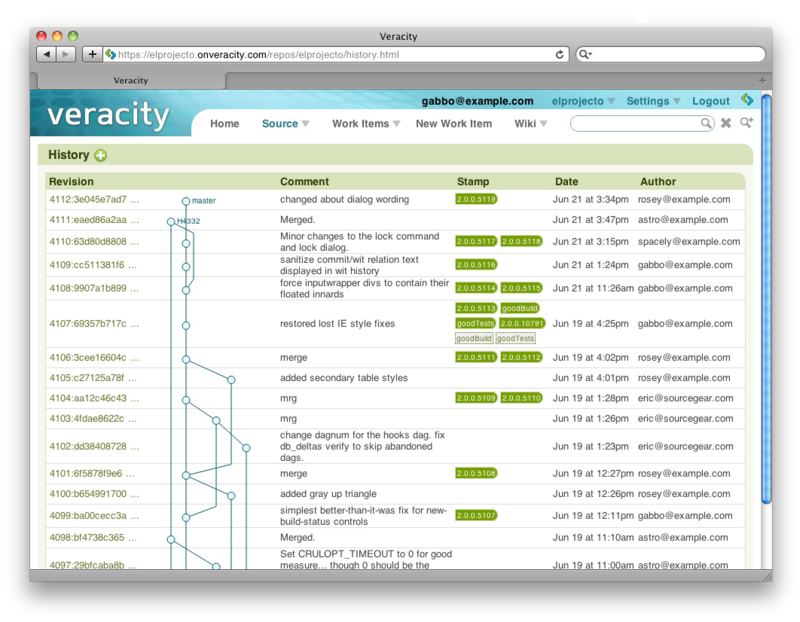 Veracity Q&A: I've installed Veracity. How do I get started using it? 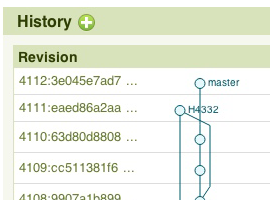 The first thing you’ll notice: Distributed Version Control is just flat-out fast. Everything happens locally until you need to connect with other servers; when you do, that’s fast and efficient, too. 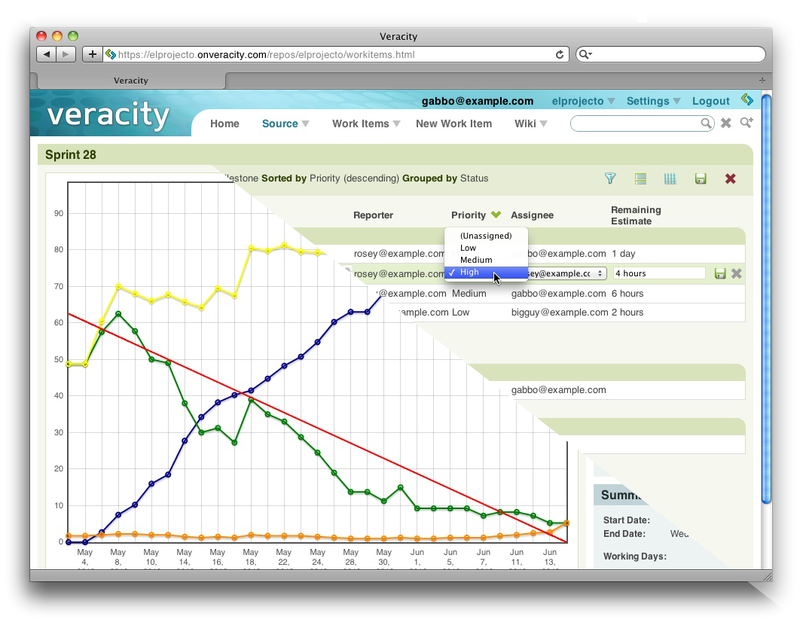 Veracity takes the distributed model one step further - project data is distributed, as well. 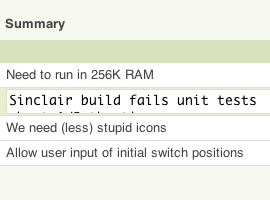 Check in a bug fix while disconnected on the train; mark the bug as Fixed locally; and move on to the next task. When you're back on line, sync with the team and everyone gets the bug update and the code at once. 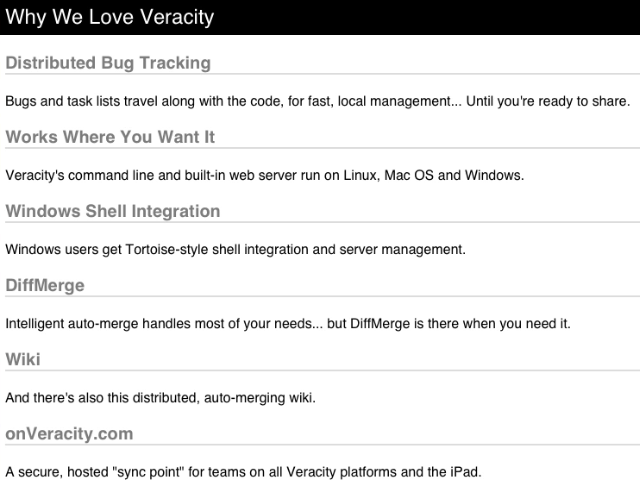 Veracity merges bug data automatically - you update a bug's status, someone else updates its priority, you sync the two - and everything just works. 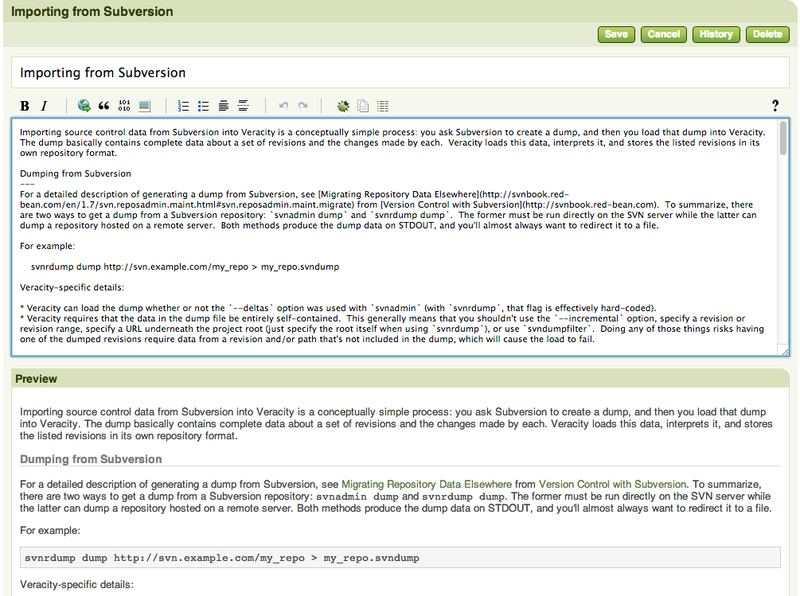 Veracity includes a distributed, auto-merging Wiki, using familiar, readable Markdown syntax. Wiki pages intelligently link to bugs, version control branches, and more; you can create, view and edit the wiki on the web.